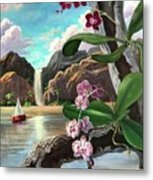 Gloria, I appreciate you visiting this orchid world of light and reflections. Thank you for your comment and also and always for the F/L. 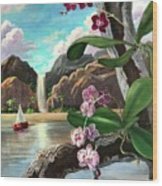 Kim, thank you for your comment on 'The Orchids And The Sailboat'. I appreciate your support and the F/L here. 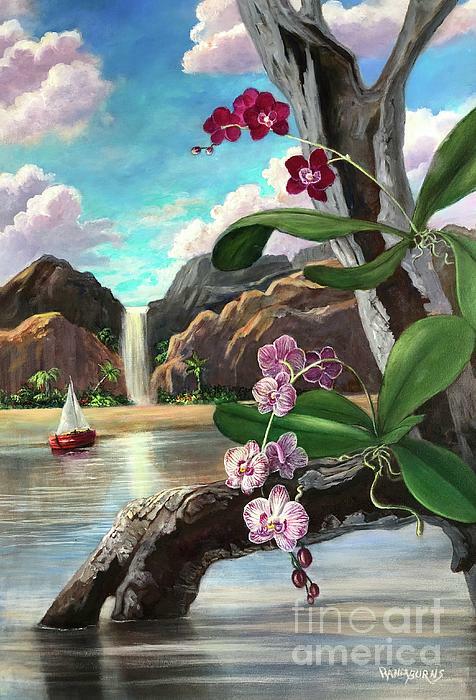 Marian, thank you for your visit and comment to this imaginary world of orchids and paradise. I appreciate it and the F/L also. Skip, I am glad you enjoyed this orchid landscape and appreciate your visit and comment. Guido, thank you for your kindness and continued support. I appreciate so much the l/f/Tw. I appreciate your comment and the l/f. So glad you enjoyed this work. Thank you for your beautiful comment Val. Thank you for your comment and the l/f. Hola Randy. Love this ideal and romantic place...I always liked how it looks when an object is closer than the rest and your tree trunk with the violets is beautiful!... Love it !!! F/V. Hola mi amiga Clotilde. Espero que todo este bien en tu mundo.Me alegro que te encanta esta pintura. Muchas gracias!!! :) Me gusta a usar esta tecnica. Hi Jane. Thank you so much for you insight and wonderful comment. For a while a worked mainly in a vertical format, and still time to time choose it for a landscape. I felt the large vertical tree trunk would work better with this format. I love to read your descriptions about my art. Thank you for the v/f also! Laurie, thank you so much. I needed that. Bonnie thank you so very much! 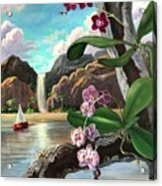 A surrealistic, dreamy landscape frames the beauty of orchids growing in their natural environment. 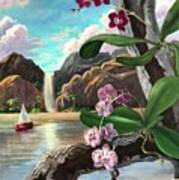 Like a dream, this unknown place awakens our thoughts to paradise worlds one often reflects on.